After A year of scandal, Penn State seems to have their guy to replace Joe Paterno. Multiple sources have said the New England Patriots offensive coordinator Bill O’Brien will be the new head coach at Penn State. Penn State has not commented. 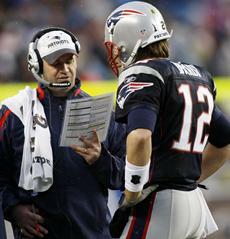 And if true, it’s not clear if O’Brien will coach the Patriots in the NFL Playoffs.